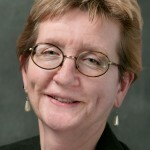 Before becoming Head of Equality and Employment Rights, Sarah was Senior Employment Rights Officer at the TUC, in which role she was responsible for the development of TUC policy on employment law. She co-ordinated TUC activities in relation to the introduction of the Employment Relations Act 1999 and wrote the TUC Guide to the Act. She was also responsible for various TUC submissions to the Government, and was a member of the TUC team which negotiated the national agreement with the CBI and the Government on temporary agency work. She regularly briefs senior union officers on developments in employment and discrimination law and policy and speaks at conferences and events. Sarah is a member of the Government’s Regulatory Policy Committee and the HSE Board. She is also a member of the Equality and Human Rights Commission and the Government’s Employee Engagement Task Force. She was formerly a member of the ACAS Council and the Women’s National Commission. She was awarded the CBE for services to diversity in the Queen’s Birthday Honours List in June 2006. She was awarded an Honorary Doctorate in Laws by Oxford Brookes University in June 2011. Sarah’s interests include her family, music, reading and politics.